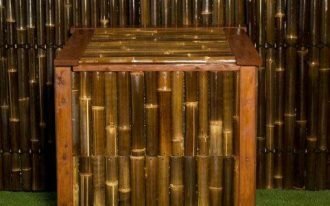 Timber storage solutions really bring natural appeal to your space. 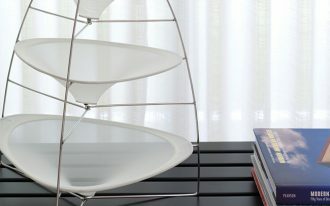 With various styles of design, you have so many options of product as you need, but if you’re looking for the unique ones, these pieces of storage products are so recommended for you. I have picked ten best products representing the most updated and functional profile. Well, I don’t want to make you wait for. Just scroll the pics down and find which one you like the most. 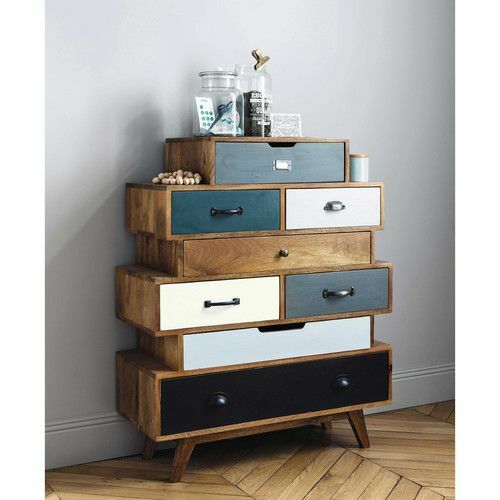 This vintage-designed drawer system seems so matched for a hallway or living room, but if you need it for your bedroom, it’s good, too. 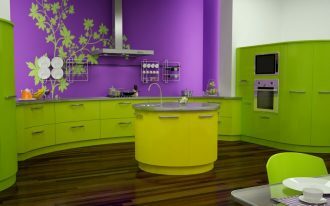 This product provides many sections of drawer in which they have different color finishing for each door panels. The legs supported the construction are black-finished metal. Overall look displays dissimilar sides. So unique. 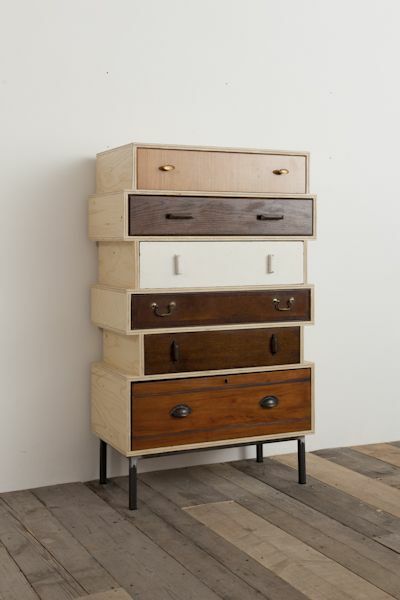 Pyramid-like drawer system amazingly attracts me. I personally like the overall design exposing asymmetric shape and different handle on each door. 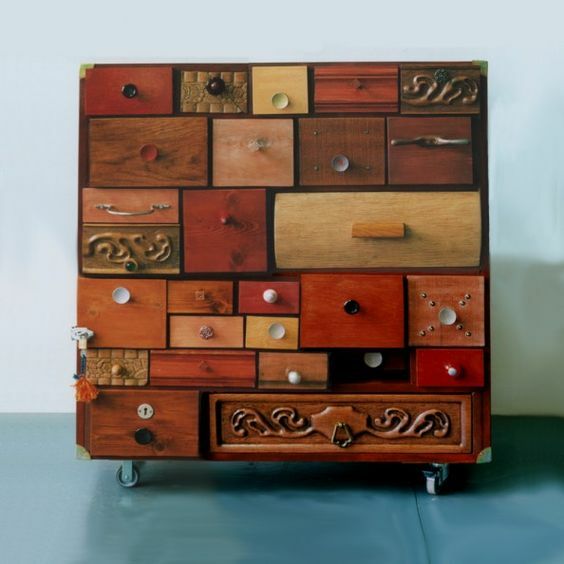 The colors covering the drawers’ doors really recall shabbily vintage schemes ever be popular for tens years ago. 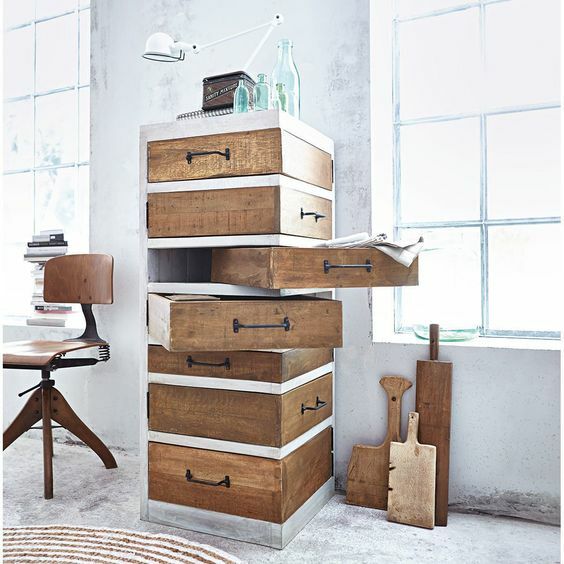 Rustic-industrial drawer system; it provides extra storage space. 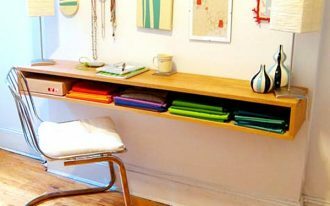 Its vertical design is purposed for a busy space where it needs much more space for documents/ files (home office, for example). What makes this product more unique is each drawer is flexibly rotated on different angle. 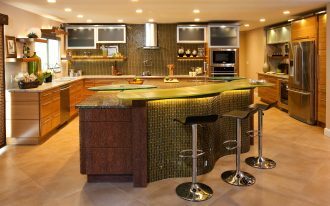 Vintage still dominates people’s preference, especially when we relate it with home trends or other similar issues. 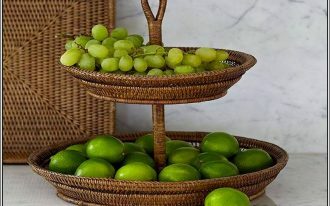 Vintage is everlasting style; like this apple-crate drawer system which is specifically designed in wonderfully vintage style. It visually old but beautiful with white frame. The wholly look also showcases the natural timber, the similar material to the complementary piece of furniture. 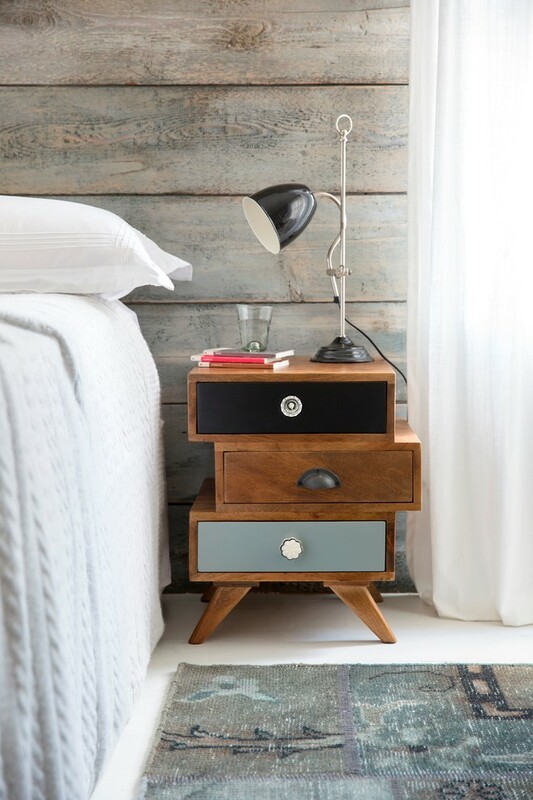 An eclectic bedside storage solution that potentially embraces your bedroom. 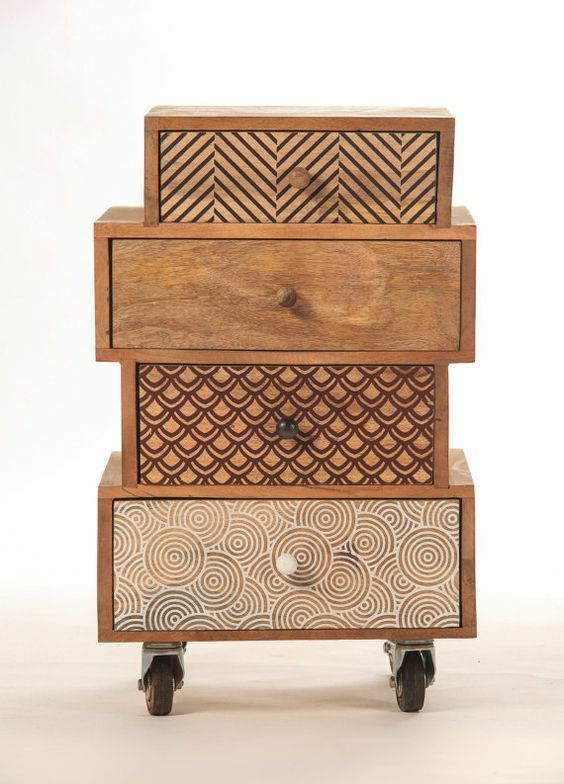 The product consists of three sections of drawer with different color finishing (on each drawer’s pull-door), and the legs remember us the granny’s furnishings (old-fashioned & vintage ones). 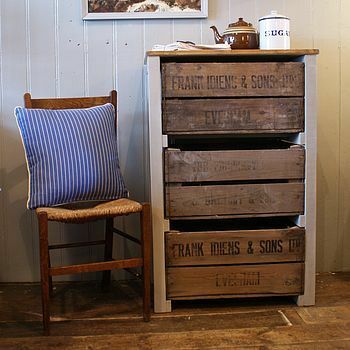 These two pieces of drawer systems are made of reclaimed wood, giving you a special texture and tone which is exactly performing a stunning visual to your room. Each product has different design and detailed knobs & fronts, and these decorative knobs & fronts are custom-made, following the users’ personal taste. 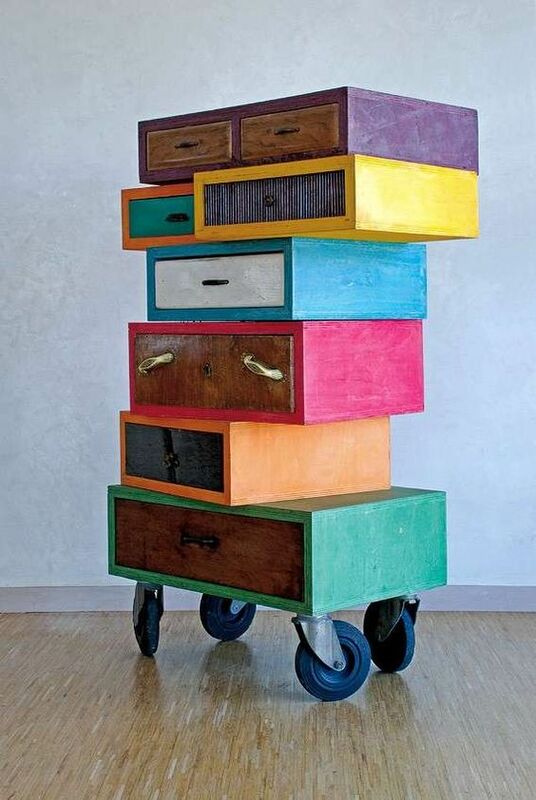 Fun & asymmetric storage solution highlighted by pop of colors. Yes, it’s visually interesting, but it’s also more than storage piece. 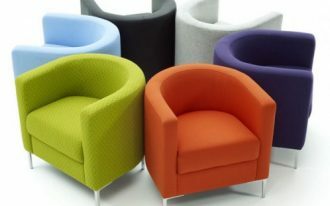 It’s also a decorative item in which it’s movable to anywhere you need as something attractive as well as functional. 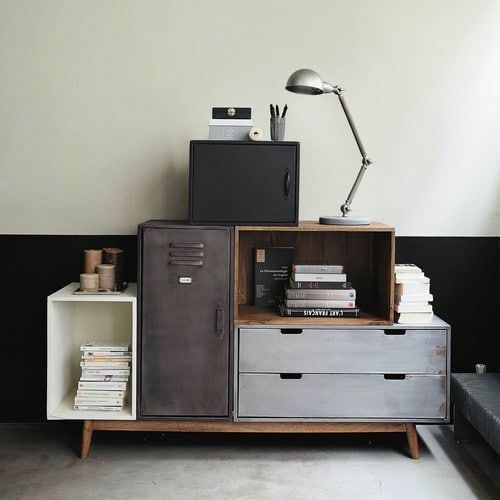 A brand-new but vintage piece of drawer system; this means the product is made recently but designed in old-look and tone. The physical appearance, starting from the pullers to handmade-carvings on drawers’ fronts are made similarly to the old furnishings. 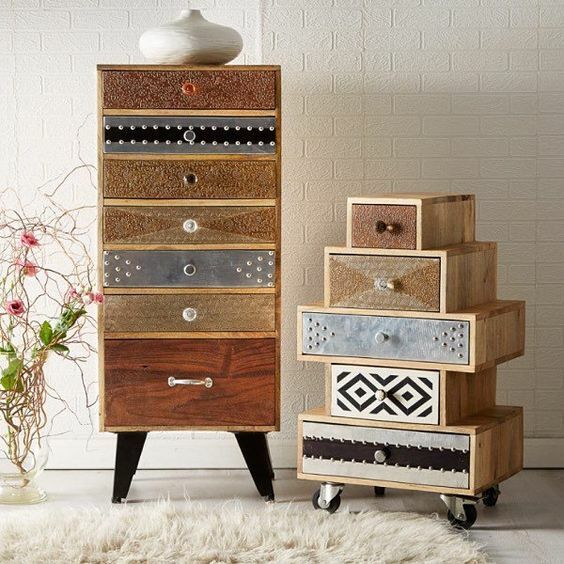 A timber storage solution with multi-pattern. 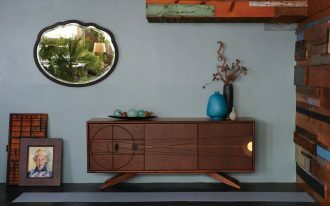 Actually, the designer still performs the genuine wood’s tone and texture, but with patterns, this storage solution seems more special and visually interesting. Each section has different pattern for more characterful look. Creative! Different with previous products, this storage solution provides more various options of storage space, including the open shelves and cabinets.